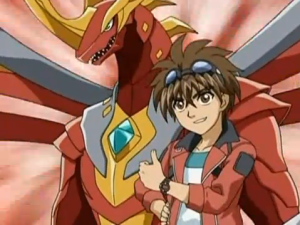 Dan is the main character of the Bakugan series. He is the leader of the Bakugan Battle Brawlers. He is impetuous and tends to rush into things, but makes up for this with a strong sense of justice. Dan's life revolves around Bakugan, with his greatest ambition to become the number one ranked Bakugan player in the world. He is the master of the power play and uses fire attributes in battle. He loves battling with his longtime Pyrus partner Dragonoid. Dan's family recently moved to a new city. - Dan and Shun created the rules and regulations for the Bakugan game. - Dan was not yet the top brawler in the world at this time. - Drago did not want to be partnered with Dan in the beginning, but they reconciled after a short falling out and became great partners. - Dan did not want to let Shun in with the mission to take down Masquerade because he was not sure if Shun was okay with going back to brawling after quitting earlier. - Dan and Drago were the first among the brawlers to be sent to the Doom Dimension. The others had to lose on purpose to Masquerade in order to go to the Doom Dimension and get them back. - He had to battle the other brawlers and win in order for Drago to evolve again. - Dan was supposed to be the only one going to New Vestroia, but Marucho sneaked his way along and Shun was sucked in. - Dan took over leadership over the Resistance from Mira. - He and Ace didn't get along well at first because Ace was suspicious of them. 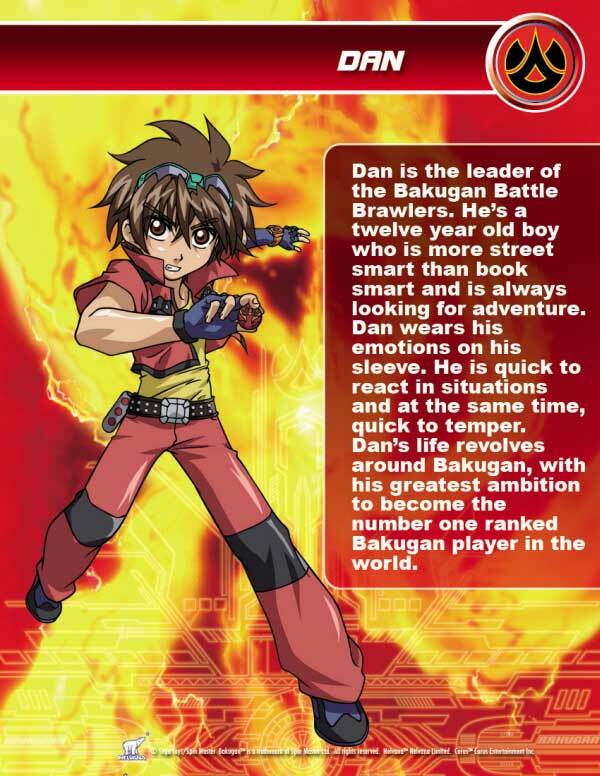 - Dan is the top brawler in the Bakugan Interspace that Marucho and Ren has created. 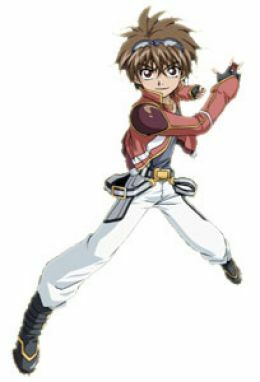 - We don't know if he and Runo are still a couple since he has moved over to Bayview and is now only in contact with Julie, Shun, and Marucho from the original brawlers. - All throughout the third season, it was only Drago who had a lot of evolutions, making him and Dan the main targets to defeat in the eyes of the power-hungry Barodius and Dharak. - Dan and Drago are the only ones who are apparently the only ones in equal footing to the Gundalians when it comes to power. - As the partner brawler of Drago, Dan became the strongest brawler when Drago was given the enormous power of the Sacred Orb by Code Eve. - Dan and Drago have been haunted by nightmares of Mag Mel and Razenoid for over a year now ever since the Gundalian-Neathian War ended. This was due to the effects of the power bestowed upon them by Code Eve. Drago is also having a hard time controlling these powers that unleash Mechtogan. 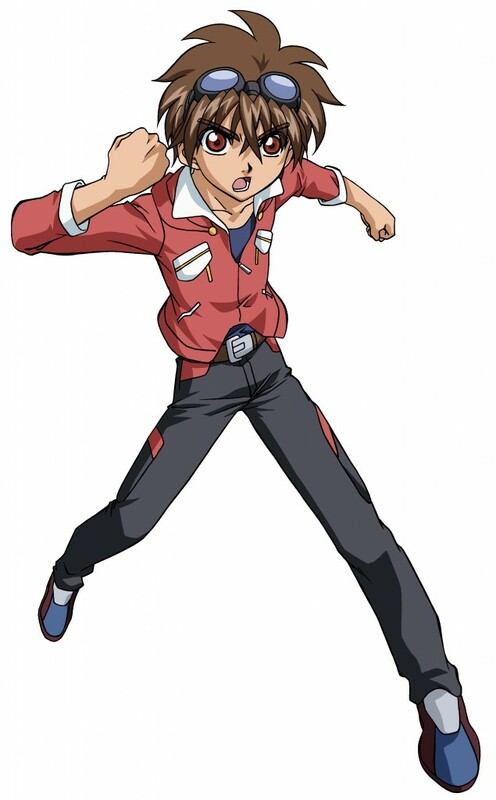 - Dan teams up with Marucho and Shun in the Bakugan Interspace Grand PRIX Tournament. However, it seems that it's always Dan who steps in first when battle ensues, and the two are left to watch. - Dan insists on keeping their hallucinations about Mag Mel a secret from Shun and Marucho. He and Drago trained secretly to try to control Drago's new powers but it is proving a challenge. - After a shameful defeat opposite Anubias due to another hallucination, Dan and Drago journey to New Vestroia without telling anyone of their plans. Episode 17: Dude, Where's My Bakugan?